As you enter The Village, leave the 21st century behind and travel back to a time when the first pioneer families arrived in this region in the mid-1800s. See how the farmers battled heat, drought and rabbit plagues to produce some of the best cereal grain crops in the country, and how the dry mallee plains were transformed into lush citrus orchards. The everyday lives of the early settlers and their families are depicted in over 45 buildings and exhibits in The Village. Each of the buildings is furnished with antique memorabilia - you will see how they lived, where they shopped and banked, and the school their children attended. You’ll see where the newspaper was printed, where saddles were bought, and even where the men had a haircut. Open 6 days 11am to 3pm (closed Mondays, Christmas Day and Good Friday). Celebrating S.A. History month in May. Entry: Adults $14.00, Children $8.00, Concession $12.50 and Family $37.00. An amazing collection of photographs show the destruction and heart-break as the waters of the Murray River rose to extraordinary heights from May 1956 to January 1957. River levels at Loxton rose by 24 feet (7.42m). Extensive damage was caused to properties along the river; 562 homes were evacuated; seepage and flooding destroyed 17,000 fruit trees and 6,154 acres (2,490 Ha) of orchards and vineyards were damaged.40 miles (64kms) of earthworks and levees, and 1 million sandbags were put in place to combat the rising waters. The Village, Allen Hosking Dr, Loxton. Regularly rated as one of South Australia’s best ten golf courses. Men’s and Ladies competition days are every Wednesday and Saturday. Powered caravan sites available. Visitors are always welcome. 196 Edwards Rd, Loxton North. tours especially welcome with a light lunch or morning or afternoon refreshments included with a tour on request. Banrock Station – Great wine…Great food…Great self-guided interpretive walking trails. Open 7 days. Salena Estate is a family owned company making quality premium wines. Phone orders available (Freight by Australia Post). 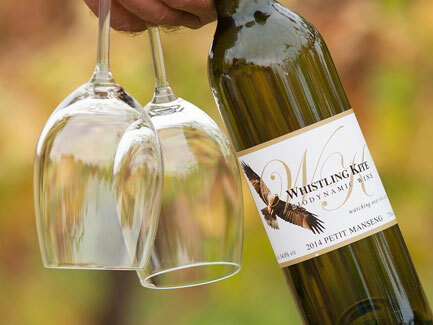 Open for Cellar Door sales 9am-4.30pm Mon-Fri.
Whistling Kite Biodynamic Wines is the culmination of almost two decades of organic and sustainable farming practices. From their 'traditional' varieties (Chardonnay & Shiraz), to emerging, or alternative varieties (Montepulciano & Petit Manseng), all of their wines have a unique flavour creating their own drinking experience. On the roundabout, Bookpurnong Tce, Loxton. The Rotunda in the centre of Loxton’s vibrant shopping precinct, was built to remember the soldiers who lost their lives in World Wars I and II as well as Korea, Malaya, Borneo and Vietnam. The stone cairn on the north side of the Rotunda is a special memorial for World War II ex-servicemen and their families, who settled on fruit blocks in Loxton. Ceramic tiles surrounding the Rotunda depict the Riverland environment by Australian artist Stephen Bowers. At the front of the Library stands a uniquely shaped fountain. The surrounding copper plaques portray the history, development and future of the Loxton area. This sculpture was commissioned to celebrate Loxton’s Centenary in 2007. It was designed to express a balance between opposing forces; light and dark, strength and vulnerability, earth and water, culture and nature. It symbolizes the strength of the human spirit in the face of isolation, drought, war and prejudice. It celebrates the triumphs over the adversities of the past and reflects optimism for the future. Fishing continues to be a popular pastime and provides the opportunity to share happy experiences with family and friends. Yabbying is also great fun and hoop nets are relatively inexpensive. Try your luck and remember patience is often rewarded! Be aware that size and bag limits apply for some fish species. Katarapko Creek and the Murray River have cut deep channels into the Reserve forming lagoons and Katarapko Island. Ample fishing, camping and picnic spots are available. Entry from Old Sturt Highway and Winkie Road, via Berri. One of Australia’s greatest explorers, Captain Charles Sturt passed here on his Murray River expedition of 1830. The lookout that marks the spot offers good scenic views of the Murray River and backwaters. Sturt Hwy, Kingston on Murray. A wetland reserve with large areas of water, narrow creeks and shallow swamps, creating a variety of environments which are important habitats for many aquatic birds and animals. Entry to Loch Luna is from Cobdogla or the northern entrance near Nappers Bridge. Camping permitted. View the waters of the mighty Murray River as it passes through one of the six lock and weir chambers within SA waters. BBQ facilities available in an ideal picnic area. Gates open from 8am to 4.30pm daily. Closed Christmas Day. This community project features an early homestead ruin, diverse native plants, manicured lawns, garden beds and ornamental fruit trees. The park collectively depicts Loxton’s development from its early settlement through to today. A meandering 800-metre walk through the park enables you to explore the history more closely. TREE SCULPTURES: Lopped Aleppo Pine Trees provided the opportunity for the trunks to be sculpted into public art. Riverland artist Tim Baulderstone was commissioned to carve the sculptures, shaping and carving the trunks with a chainsaw and an angle grinder. Year 9 art students from Loxton High School were given a particular tree to design, with the brief being native animals, flora or fauna. Designs, concepts and clay models were created prior to carving. Wander the path though the conservation park and see for yourself these 16 incredible tree carvings, including a frill-necked lizard, sulphur-crested cockatoo, goanna, eagle and a possum. Over 1,100 roses grace the two beautiful gardens, Hentschke Memorial Rose Garden and Loxton Pioneer Memorial Garden, with the sundial and surrounds paying tribute to the early pioneers of our region. Kokoda Tce & Tobruk Tce, Loxton. A new, creative, exciting, play space offering loads of fun for children of all ages and abilities. Do you love to climb? The challenging paddle steamer net provides just one way to reach the slippery dip at the top of the 9m high cubby. Who doesn’t love to spin and slide? You’ll discover slippery dips, carousels and spinners for all ages and abilities. Think you’re fast? Take the Neos challenge and see if you can beat the beat! Can you hang on? Hold on tight as you speed along the cable ride. Expand your imagination as you play on, in, over and under the wide assortment of play equipment, or race around the Explorer Track on your bike or scooter as you imagine you’re a racing car driver.The area provides picnic tables, benches, shelters, lawns and is fully fenced with free BBQs and toilets. Families can enjoy a perfect break while children enjoy an awesome play experience. Open 7 days and it’s free! Adjacent to the Cross of Sacrifice on the lawns between Kokoda Tce & Tobruk Tce, Loxton. A kid’s haven and a slice of parenting heaven, the Loxton Club’s undercover playground and Kid’s Room is an awesome place to play! Places to squeeze through, scramble over, climb up and slide down – or for those who need a bit of time out there are DVDs to watch, games to play and great food from the Kid’s Menu to keep you going. Full bar and dining facilities available 7 days from 10am until late. Loxton Club Inc. 27 Bookpurnong Tce, Loxton. Call into the Loxton Visitor Information Centre, on the roundabout, Bookpurnong Tce, Loxton, to collect the ‘Discover Loxton, Moorook and Kingston on Murray Drive & Walks’ guide, highlighting self drive tours and easy walking trails. Also pick up a copy of the 'Riverland Self Drive History Tour' and discover the Riverland's vibrant history. There is more than one version of the story of the Pepper Tree, however, it is possible that this tree was planted by Mrs Howell in 1878 from peppercorns collected by William Charles Loxton, a boundary rider on Bookpurnong Station and a horseman of some note. William Loxton lived here with his wife from 1878-1881 in the modest pine and pug hut formerly occupied by his aunt, Mrs Howell, and her husband. The area around this hut was known as ‘Loxton’s Hut’ and eventually, just ‘Loxton’. Part of the termite-damaged tree collapsed in 1997 after a severe windstorm. A plaque alongside the tree commemorates the first reunion of the Loxton family. Loxton’s vibrant shopping precinct of predominantly locally owned & operated businesses, offers a varied and unique range of products. A wetland reserve with many aquatic birds and animals. An all-weather road allows vehicle access to the River Murray and Wachtel’s Lagoon throughout the year. Camping permitted. Entry to the reserve 3.5kms along the Kingston Rd, off the Sturt Hwy. Captain Sturt and his heroic crew rowed their 27 foot whale boat past this point on 30th January 1830 during their historic voyage of exploration of the Murray River. This large memorial overlooks the river and the town’s wharf. An ideal picnic spot. View at a glance how severely a high river can affect this region. By studying the high river levels on the trunk of this magnificent old river red gum, you can begin to understand the cycles and impact of the Murray River system. Lions Park, Grant Schubert Dr, Loxton.